There are various financial & non-financial information together are used for the preparation of various components that forms the financial reports of an organization (Alvarez, 2013). All these factors differ in terms of nature and characteristics. The selected two companies belong to the banking sector and a comparative business analysis has been made between them on the basis of equity, cash flow statement, comprehensive income, corporate income tax, deferred tax assets and deferred tax liabilities, cash tax, etc. Commonwealth bank of Australia, being the largest bank in Southern Hemisphere, is a global bank having its business operations at United States, United Kingdom and New Zealand. The activities undertaken by this company includes business and retail management of funds, superannuation facilities, insurance services, investment services, Institutional banking and such other services such as brokerage services. This company earned the title of being largest listed company on the Australian Securities Exchange with brands such as Commonwealth insurance or securities, Bankwest etc. Considered as one of the 'big four' Australian banks, Westpac Banking Corporation is a financial services provider with its headquarters at Sydney. The words 'Western' and 'Pacific' are combined together to form the word 'Westpac'. The company is currently acquainted with 40,000 employees and 14 million employees (Atkinson, 2012). The company has a long term objective that not only includes its growth in profits or expansion but also to prosper in terms of customers and communities by providing best services. As per 2017 Dow Jones Sustainability Index, it was considered as one of the most sustainable bank which was for the fourth time in a row. Let us discuss the comparative analysis of both the companies along with their reasons and impact on the financial reports. The equity of a company reflects its capital structure, that is, the monies on which the business is based upon. In case of company, this equity structure is formed through investments made by shareholders or investors (Berry, 2009). Such holders get shares of the company in return. Equity structure includes shares such as equity shares, preference shares, right shares, etc. Retained earnings and surpluses or deficits are also included for the calculation of the total equity of a company. Our analysis discusses about the equity portion of two past years of both the companies. Commonwealth bank has both ordinary and treasury shares with values $35,266 million and $295 million respectively which sums up as $34,971 million as per 2017. The 2016 data gives the capital value as $33,845 million. Thus, we see an increase in the equity value in 2017. Analyzing the reason behind it, this increase was because of issuance of shares under dividend reinvestment plan during the year. The balance in retained earnings account arose from $23,435 million to $26,330 million which was because of surplus profits earned by the company during the previous year (Boyd, 2013). However, there is a decline in the reserves balance due to foreign exchange fluctuations as well due to loss on sale of investments. Thus, we conclude that the equity value arose from $60,014 million to $63,170 million in 2016 and 2017 respectively. On the other hand, the equity structure of Westpac bank is made up of share capital, reserves and retained earnings. The share capital is made up of ordinary shares $34,889 million and treasuries $495 million respectively. The share capital value arose from $33,014 million to $34,394 million in 2016 and 2017 respectively. Analyzing such a change, we found that the company issued a new class of shares during the year. There is an increase in retained earnings from $24,379 million in 2016 to $26,100 million in 2017 due to increase in surplus profits of the company. Also, the company seemed to have earned gains from the change in fair value due to which its reserves arose from $727 million to $794 million (Easton, 2010). Thus, we conclude that the overall equity capital of the company shows an increase by a value of $3,168 million in 2017. The company for the smooth functioning needs finance and is a crucial task for a company to choose the best source of fund. The various sources of funds are issuance of shares, debentures, loans, etc. Usually, a company's capital is formed of equity and debt where both of these sources have their own pros and cons. Its just that the company has to consider various points before choosing of a source such as cost of capital, industry average, market conditions, political influence, etc (Elaine, 2015). 2. Westpac shows a debt equity ratio as 8.71 times. Thus, we conclude that both the companies have a huge dependence on the debt securities for like almost 8-9 times of its shareholders funds (Fridson & Alvarez, 2012). This is mainly due to the reason that debts are more preferable than equity for banks. Thus, we see an almost same leverage risk on both the companies. There are two basis for recording of accounting information, either on the accrual basis or on the cash basis. Where the books are usually prepared on the accrual basis, cash flow statement are prepared on the cash basis as its main purpose is to reflect the actual cash inflow or outflow. This helps in letting the stakeholders know about the liquidity position of a company (Girard, 2014). Operating activities include incomes from investment; payment of interests, etc as interest receipt and payment are the main activities of a banking company (Jensen & Meckling, 1976). Investing activities shows the outflow of cash due to acquiring of subsidiaries or associates, investments, tangible assets and inflow of cash due to dividend income. Financing activities are composed of receipts due to issuance of debts, issuance of equity shares and repayments of respective funds. Analyzing the cash flow statement of Commonwealth bank, we see an outflow of cash in operating activities, that is, $4,561 million and $807 million in 2016 and 2017. There is decline in the outflow due to having incomes from investments and interest receipts. In a similar way, we see a decrease in outflow of cash in case of investing activities, that is, $677 million and $2,032 million in 2017 and 2016. Such a decrease is as a result of nonpayment of purchased entities which are under control, decrease in purchases of plant, property and equipment including intangible assets. However, we see an increase in financing activities which is because the company made fewer payments during redemption of debt securities (Lyon, 2010). Thus, we conclude that the company shows a drastic change as it had negative balance in 2016, $4,973 million which is now $8,988 million in 2017. 1. The income from insurances, interest receipts and income tax together forms the operating activities. 2. Investing activities are composed of sales and purchases of subsidiaries or associates, fixed assets, investments and other securities. 3. Repayment and revenues of and from debts and equity together forms financing activities. Analyzing the cash flow statement of Westpac bank, we see that the cash outflow has decreased in the operating activities, that is, from $5,497 million to $2,820 million in 2016 and 2017 respectively. This is due to the company have losses from fair value measurement of investments. In case of investing activities, a decline is seen in outflow of cash as it was $7,245 million in 2016 and $1,698 million in 2017. This is because the company made sales of securities and associates during the year. In case of financing activities, we again see that there is a drastic decrease in cash inflows in 2017 as compared to 2016 cash inflows by a value of $4,021 million. This happened due to increase in cash outflows while redeeming loans and issuance of debt securities in lower quantities (McLaney & Adril, 2016). Overall, we see a decrease of $1,151 million in the net cash flow in the year 2017. The operating activities of both the companies do not show any trend in the values. The investing activities of Commonwealth bank still show a trend while the Westpac bank shows a decline in cash outflows since last three years. Commonwealth bank shows an upward trend as per last three years while Westpac bank shows a declining trend (Penman, 2012). The above representation shows us that the cash flow statement has no trend in case of every individual activity. However, comparing it on an aggregate basis, we observe that Commonwealth bank is experiencing increasing cash flows since last years while on the same hand, Westpac bank shows no fixed trend, that is, it shows both increment and decrement over a period of last three years (Ramírez, 2018). The conclusion could be withdrawn in a manner that the companies should have a control over the cash which is excessively used for operating activities. This would help in smooth functioning of business operations. Where the accrual basis of accounting is followed while preparing books of accounts, the method requires recognition of income as soon as it is earned or expenses as soon as it is incurred. The actual receipt or the actual payment isn't considered. In such a case, such incomes are recognized under 'Other Comprehensive Income' which is just below the income statement in the financial reports (Penman, 2012). Commonwealth bank has items such as changes in cash flows of hedged instruments, foreign exchange fluctuations, fair value measurement, actuarial valuation differences in superannuation benefit plans, revaluations of property after tax, credit risk changes etc. Westpac bank shows similar items like fair value measurement of investments, hedging instruments, fluctuations in foreign exchange transactions, credit risk changes, changes occurring to re-measurement and effect of tax on the mentioned items (Robinson, 2014). There are certain elements of financial statements that are uncontrollable by the management. Such changes do not affect the profit or loss of the company but would be affecting profits and losses that would be taking place in the future. The accrual basis of accounting requires recording of such items in the books and this is why, the 'Other Comprehensive Income' is prepared. When such an income or an expense is actually realized, the values in the other comprehensive income would be transferred to the income statement. Thus, this is why, to have a distinction between the actual and expected receipts & payments and to give a more transparent picture of the items to the intended users, the companies prefer reporting in other comprehensive income and not in income statement. Analyzing the OCI of both the companies, we see almost similar items and similar method of transactions. For example, they both have recorded the fair value measurement changes with tax effects. If the company chooses to record in the income statement, then it would be showing unrealized incomes and thus, hypothetical balance in cash (Siciliano, 2015). The OCI statement contain items that have resulted from the fluctuations in market forces which is beyond the control of the management of a company. Thus, it seems to be irrelevant to be irrelevant to consider such items so as to have an evaluation of performance of managers. It would be relevant to consider items that have occurred in actuality and are represented in the income statement. Thus, for the evaluation of effectiveness and efficiency of the manager's performance, OCI statement cannot be considered as a basis of evaluation (Simpson, 2012). Westpac bank : $3,518 million. From the above calculations, we observe that the effective income tax rate are 28.63% and 30.55% for Commonwealth bank and Westpac bank respectively. Commonwealth bank : employee benefit provisions, superannuation plan benefits, impairment losses, intangible assets, income not earned, financial instruments, financing of lease, insurance provisions, investments, etc. Westpac bank : provisions for impairment of long service leave or loan charges, annual leave & other benefits of employees. It also has provisions for fixed assets, financial leases & instruments, life insurance assets, other liabilities, other provisions and miscellaneous items. Commonwealth bank shows an increase in deferred tax assets where the data shows a balance of $389 million in 2016 and $962 million in 2017. However, Westpac bank shows a decrease in deferred tax assets where the data balance is $1,351 million in 2016 and $1,112 million in 2017. Coming to deferred tax liabilities, Commonwealth bank shows a decrease, that is, $340 million and $332 million in 2016 and 2017 while in case of Westpac bank, it shows a decline, that is, from $36 million in 2016 to $10 million in 2017. The above calculation shows that the company has a cash tax of $3,992 million in the year 2017. The above calculation shows that the company has a cash tax of $3,518 million in the year 2017. The above calculations show the cash tax rate as 28.63% in case of Commonwealth bank and 30.55% in case of Westpac bank. Thus, we can conclude that the cash tax rate is slightly higher in case of Westpac bank which is due to differences in deferred tax liabilities and deferred tax assets. Book tax is a tax calculated on book profits while cash tax is the tax calculated on profits after adjustments of deferred tax assets and liabilities (Taillard, 2013). Such differences are temporary in nature as provisions have a temporary value which results in differences between cash tax and book tax. In future, such differences are nullified or adjusted in case of actual occurrence or no occurrence at all resulting in nullifying of difference between cash tax and book tax. The above discussion regarding various financial components is made for analyzing and comparing purposes. It is a method of bringing the attention of the stakeholders to such items in case such items get ignored. The comparative analysis between the above two banks are used as an example to have a better understanding regarding various concepts. This is because the financial statements are a reflection of a company's profile. Therefore, a company has to be alert while preparing such statements and a stakeholder should know analyzing it in the best way as such analysis has a direct impact on his decisions. The stakeholders uses such statements for making decisions like sanctioning of loans, investments to be made or to be withdrawn, etc. Also, analyzing is important to know a company's contribution in the industry average, a company's reputation in the market, compliances of regulations and relevant act, etc. 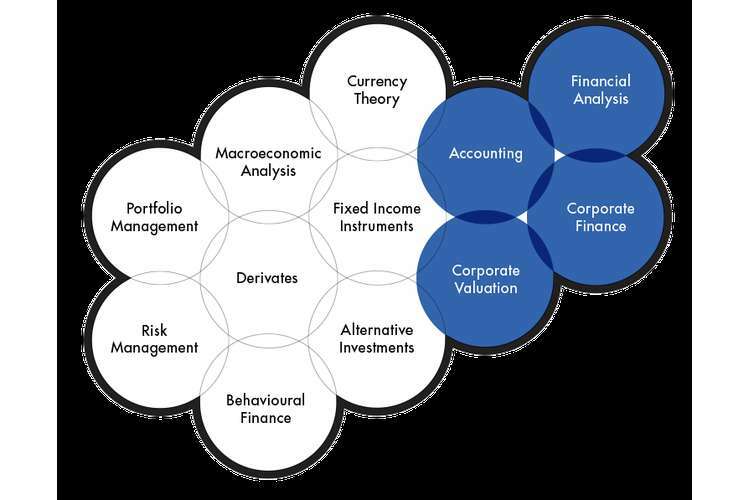 Thus, the above discussion was an attempt to understand the analysis basis of various financial components. 9. Jensen, M., & Meckling, W. (1976). Theory of the firm:Managerial behaviour, agency cost and ownership structure. Journal of Financial Economics , 305-360. 10. Lyon, J. (2010). Accounting for Leases: Telling it how it is. Journal of Property Investment & Finance . 11. McLaney, E., & Adril, D. P. (2016). Accounting and Finance: An Introduction. United Kingdom: Pearson. 15. Robinson, T. (2014). Business accounting. New York, NY: Prentice Hall. 16. Siciliano, G. (2015). Finance for Nonfinancial Managers. New York: McGraw-Hill. 17. Simpson, M. (2012). Financial accounting. Basingstoke: Macmillan Press. 18. Skonieczny, M. (2012). The basics of understanding financial statements. Schaumburg, Ill.: Investment Publishing.